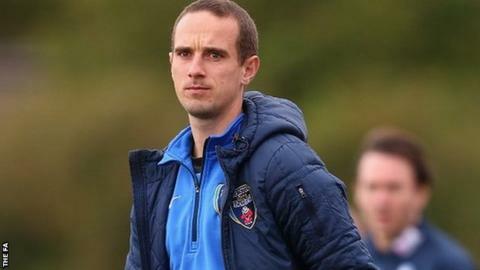 Bristol Academy manager Mark Sampson believes new signing Natalia has the potential to be "the female Michu". The 27-year-old, full name Natalia Teresa Pablos Sanchon, has hit over 300 goals in 12 seasons for Rayo Vallecano and reminds Sampson of the Swansea man. Sampson said: "I've been to Spain to watch her play and she reminds me so much of Michu in her movement, her style and work ethic. "And she's just as deadly in front of goal. She'll be a great signing." Natalia has captained Superliga club Vallecano to three League titles and the Spanish Cup, and is set to join fellow Spaniard Laura del Rio at Bristol. Her Vallecano goals included one in a 2-0 Champions League win against Arsenal in 2010-11 and Sampson is eager to see her in action in England. Swansea striker Michu has been one of the signings of the season in the Premier League, scoring 19 goals after costing the Swans just £2m. "Natalia is going to be a great signing for us," said Sampson. "She's got a proven goal record and I'm confident she will prosper in the Super League. "If she can have the same impact in the WSL that Michu's had in the Premier League I'll be absolutely delighted." Natalia said: "I am really excited about joining Bristol. "Laura has told me great things about the club and I'm anxious to get there and give my best to the team." Natalia's move is subject to international clearance, but Sampson is confident that she will be an Academy player in time for next month's start of the WSL season. The manager has further strengthened his squad with the signings of and midfielder Lucy Staniforth from Lincoln. "It's sad to lose a world class player like Jess," said Sampson. "But she was given a tremendous opportunity in the USA and we couldn't stand in her way. "I'm very pleased with the signings we've made though, and now I'm looking forward to a season where I believe we can make a real impact."